So glad the rain held off today. I managed to weed a large section of the garden and pick and blanch the last of the broad beans and peas, before we go on holiday next weekend. A friend is staying, to house and animal sit but I don't want her to have to bother with the veggies too. 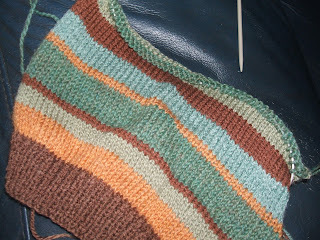 I started a little tank top, using scraps of yarn. The smallest size on the pattern was 22" chest, so I've reduced it to fit our godson Reuben, but I think it might still be too big. I shan't do any more until I can check it against him. 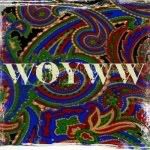 Just heard that DD2 will probably be moving back in for three weeks, between house moves - that means I have to get my skates on, and order the new bed settee and try to condense contents of the spare room - again! Don't you just love it?! Still, that's what mums are for, I expect. 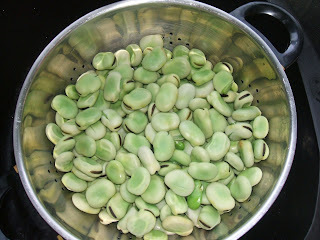 We picked broad beans today too - not such a good crop as last year, I think because the weather has been so awful. The tank top looks like it's going to be lovely! The tank top is looking good, as are your broad beans. At least something is happenning despite all the rain! 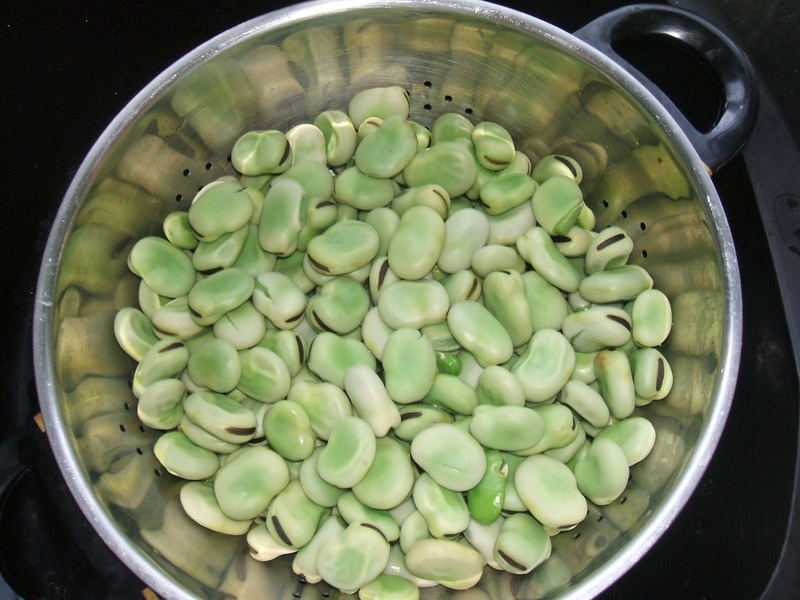 Your broad beans look lovely, I like them with lots of butter. I love the colours of the tank top,I'm sure it'll be great.